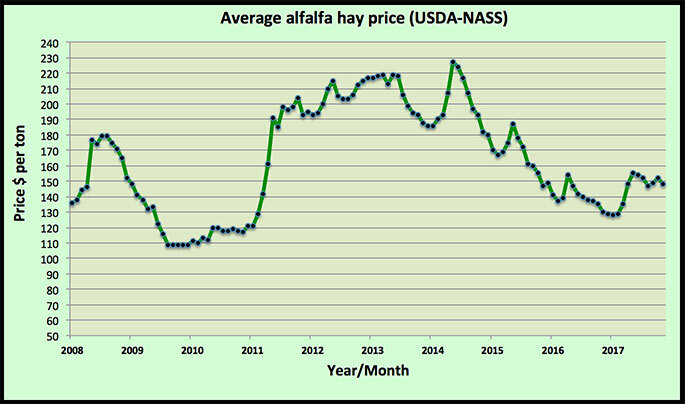 All-hay and alfalfa November hay price averages were both lower in USDA’s most recent Agricultural Prices report. The all-hay price was $138 per ton, down $3 from the previous month but $12 per ton higher than November 2016. Hay other than alfalfa held steady at $118 per ton, which was $2 per ton below November 2016. The month-to-month alfalfa price dropped by $4 to $148 per ton; that’s still $18 per ton higher than November 2016. Looking back, it’s not unusual for the November price to drop from October. That trend has held every year since the drought year of 2012. The decline in the November price follows two months of average price increases. The low price in 2017 was recorded in January at $128 per ton. The highest price was in May at $155 per ton. Even with the average price decline for alfalfa, a number of states checked in with significant price gains. Those included: Iowa (plus $27 per ton), Minnesota (plus $26), New York (plus $25), Wisconsin (plus $17), Pennsylvania (plus $15), and Arizona (plus $10). 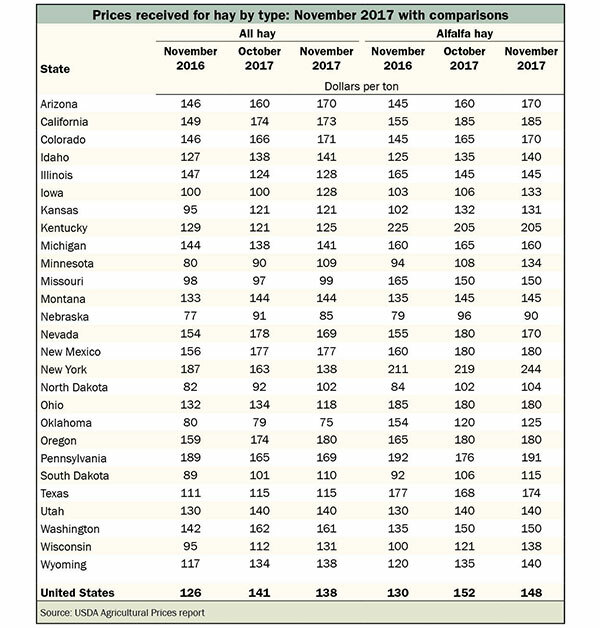 Nevada (minus $10 per ton) and Nebraska (minus $6 per ton) tallied the largest price declines. 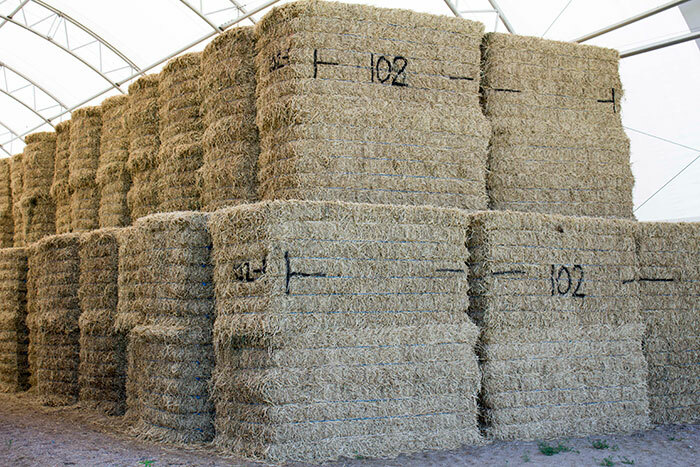 The highest alfalfa hay prices are being reported from New York ($244 per ton), Kentucky ($205 per ton), Pennsylvania ($191 per ton), and California ($185 per ton). The lowest prices can be found in Nebraska ($90 per ton), North Dakota ($104 per ton), and South Dakota ($115 per ton).